I’m thrilled to be kicking off the blog tour for Once Upon A River by Diane Setterfield. My grateful thanks to Doubleday and Henley Literary Festival for my (signed) proof copy of Once Upon A River and to Anne at Random Things Tours for inviting me to participate in the blog tour and for giving me the honour of the first stop. Do check out the tour banner at the bottom of this post so you can follow the other fabulous book bloggers taking part in the tour. Once Upon A River is published tomorrow (4th December) in ebook format and in the US and Canada in hardback as well. It will be published in hardback in the UK on 17th January 2019. The dramatic moment early in the book when an injured stranger arrives at the riverside Swan inn with what seems to be the lifeless body of a child sets in motion a search for answers to many questions. It’s a quest for the truth involving the weighing up of competing claims about the child’s identity, the resolution of previously unresolved mysteries and the seeming contradiction between scientific fact and perceived events. More than anything, it’s a yearning for a story that makes sense. Having witnessed the dramatic arrival, the regulars at the Swan, a place known for its storytelling, immediately begin to talk, ‘finding words to turn the night’s events into a story’. The concept of story-telling forms a key part of the book. The telling of stories is shown to be variously a source of entertainment, a skill, a tradition handed down through the generations, a way of making a living or impressing others. The book explores how stories may be rooted in a geographical area or a period of history. What also emerges from the book is that stories can be a means of trying to make sense of things but that the ownership of stories can be transitory as they travel, mutate or are embellished in the retelling. And, who doesn’t crave to know how a story ends? The richly drawn characters in the book embody all aspects of human nature – the good and the bad – and cleverly address the nature versus nurture debate. My favourite character was Rita. Independent minded and self-educated in nursing and midwifery, she has a logical, questioning approach to things using astute observation to analyse people and situations. She proves herself to be brave, resourceful and daunted only by very particular fears about one aspect of life. The river, described at one point as ‘majestic, powerful, unknowable’, plays a central role in the book – almost becoming a character in its own right. I particularly loved the chapter ‘Tributaries’ in which the author cleverly uses the river as a model for introducing other characters into the story. The river is not the only elemental force in the book. The changing seasons, particularly the points of the year marked by the solstices and equinoxes, are the backdrop to pivotal moments in the book. Although set in the age of scientific discovery – Darwin’s theory of evolution, the dawn of the study of psychology and the human mind – the characters in the book come across things that seemingly can’t be explained by logic, facts or reason. Some choose to fall back on the supernatural and stories older than the one they are currently living through. At times, characters experience presentiments about future events which, as well as tapping into the supernatural aspect of the book, also create narrative tension. I was lucky enough to hear Diane Setterfield talk about Once Upon A River at this year’s Henley Literary Festival, as it happens whilst sailing up the River Thames that is such an important part of the story. (You can read my write-up of the event here.) Hearing her talk about the book gave me additional insight into the themes it explores and resulted in a few ‘Ah, yes’ moments of recognition while I was reading it. I think you can probably tell that I absolutely loved this book. To borrow a watery metaphor from the author, I was swept away by the story and the skill with which it was told. I closed Once Upon A River with a sigh of satisfaction, if I’m honest a little teary-eyed, and certain in the knowledge this will be one of my favourite books of the year. Right now, it’s definitely challenging for the top spot. Diane Setterfield’s bestselling novel, The Thirteenth Tale, was published in 38 countries, sold more than three million copies, and was made into a television drama scripted by Christopher Hampton, starring Olivia Colman and Vanessa Redgrave. Her second novel was Bellman & Black, and her new novel is Once Upon a River. Born in rural Berkshire, she now lives near Oxford, by the Thames. Excellent review! I loved this as well. Yes, it was fabulous wasn’t it? I loved the setting, the characters and how everything came together in the end. The cover reminds me of The Essex Serpent, as have a few I’ve seen this year. Is the book itself in a similar vein? I haven’t read The Essex Serpent (although I have a copy in my TBR pile) but from the blurb I would say there are probably similarities in tone and atmosphere. The Essex Serpent is all tone and atmosphere. If Once Upon a River has a story, I might give it ago. I really enjoyed “Bellman & Black” despite it being so dark, so I’m interested in this book! 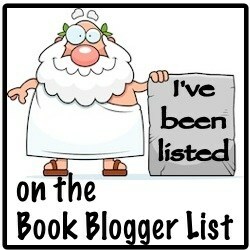 Bellman & Black is now on my wishlist having now read and enjoyed two of Diane’s books. This was my first Setterfield novel but it won’t be my last. I have a copy of Bellman and Black I hope to be reading in the New Year as well as I’ll borrow a copy of The Thirteenth Tale to see which of the three is ultimately my favourite. I personally loved the tight and taut scenes at the Swan, everything involving Rita Sunday and of course, the fuller breadth of scope involving the Mythos behind the ferryman! This comes to me after spending November seeking out stories for #Mythothon which was a readathon dedicated to Mythological Re-tellings – I’m still making my way through those selections but if you wanted to see what I wrote as I arrived inside the ones I desire to still read I posted a #25PagePreview. I loved how you articulated why you loved the story – how you took us visually inside the heart of the narrative – your blogging style is one I can resonate with as it is similar to how I approach blogging about the books I am reading as well. I’m following you now and look forward to moving backwards through your posts for Historical Fiction (and others as well!) before the close of the year! Then, I can resume forward once January arrives!